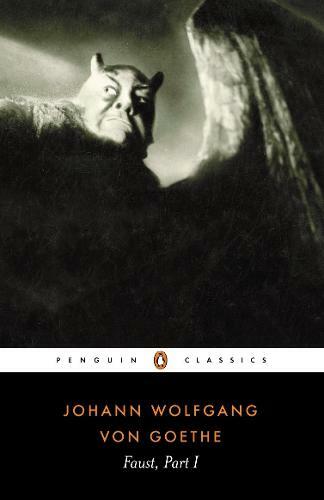 Goethe's Faust reworks the late-medieval myth of Dr Faust, a brilliant scholar so disillusioned he resolves to make a contract or wager with the devil, Mephistopheles. The devil will do all he asks on Earth and seek to grant him a moment in life so glorious that he will wish it to last for ever. But if Faust does bid the moment stay, he falls to Mephisto and must serve him after death. In this first part of Goethe's great work the embittered thinker and Mephistopheles enter into their agreement, and soon Faust is living a life beyond his study and - in rejuvenated form - winning the love of the charming and beautiful Gretchen. But in this compelling tragedy of arrogance, unfulfilled desire and self-delusion, Faust, served by the devil, heads inexorably towards destruction.
" One of those great works of literature into which a writer has been able to combine his ranging preoccupations and understanding as he worked."